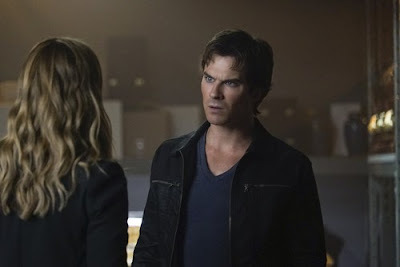 SNEAK PEEK: "The Vampire Diaries: Live Through This"
"...after realizing the downward spiral he was on, 'Damon' decides he’s going to turn over a new leaf and that his actions moving forward will do right by 'Elena'. 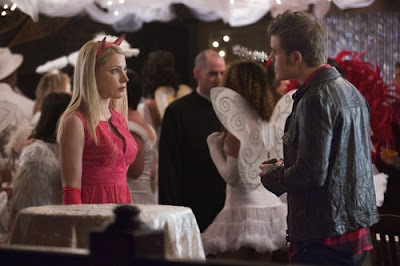 "'Lily' prepares for the arrival of a special figure from her past, while 'Enzo' stands by not sure what to expect. 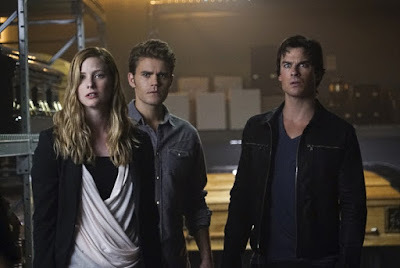 "Elsewhere, at the urging of 'Caroline', 'Stefan' comes face-to-face with 'Valerie' and learns some upsetting details about her past, while Enzo and 'Bonnie' find themselves at odds when they're forced to fend off a violent threat. "Finally, when Bonnie learns some disturbing information involving the 'Phoenix' stone, she is forced to confront 'Alaric'..."